I spotted Mallory in Mizzou’s infamous Speaker’s Circle, the only area on campus where speakers need not get permits. 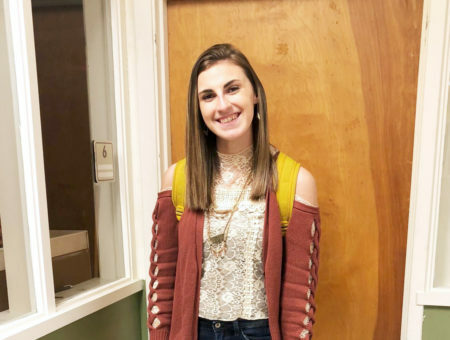 Mallory was headed to volunteer at Coyote Hill, a foster home for at-risk children. 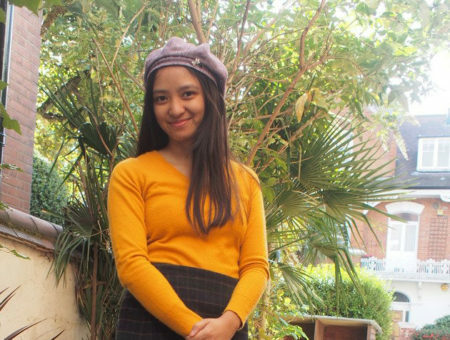 Her style mirrors her personality perfectly; easy-going and quirky. Mallory’s colorful bands are from Young Life camp. Started in 1941, Young Life is a non-denominational Christian ministry that has become a large part of her life. 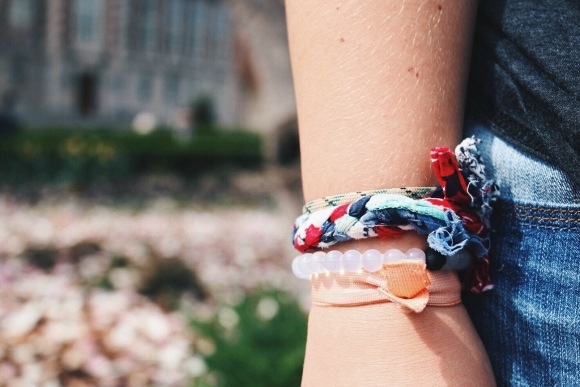 She is also wearing a Lokai bracelet, which Mallory and her friends all received for their high school graduation. These bracelets contain water from Mount Everest and mud from the Dead Sea to encourage a balanced life. 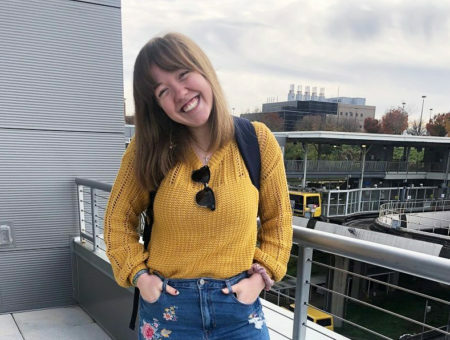 Mallory’s headband adds a pop of color and shows off her style trademark of mismatched elements, as they contrast with her patterned sandals. 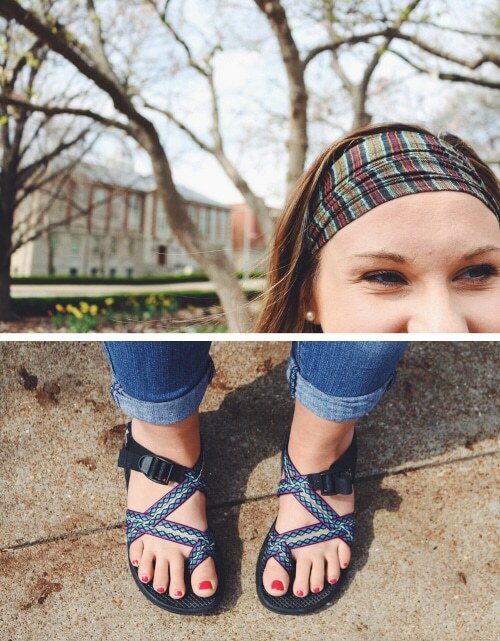 These Chacos are a versatile option for the constantly shifting spring weather. It doesn’t hurt that they’re ultra-comfy, too! 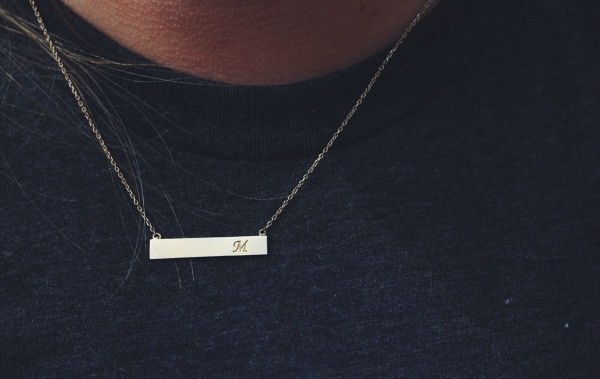 Bar necklaces are currently a popular trend and Mallory’s “M” adds a personalized touch to her look. It is dainty, simple, and can be worn with anything. 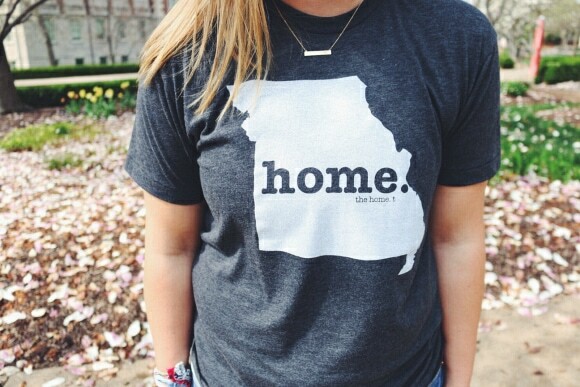 Mallory shows off her home state pride with a Missouri “Home T,” as seen on Shark Tank, which are available for every state. This top makes her look casual, yet perfect for running around on a busy spring day. What do you think of Mallory’s look? Are you a fan of Mallory’s laid-back style? Would you wear her bracelets? How about a monogrammed necklace? Comment below and share your thoughts – we want to know what you think!